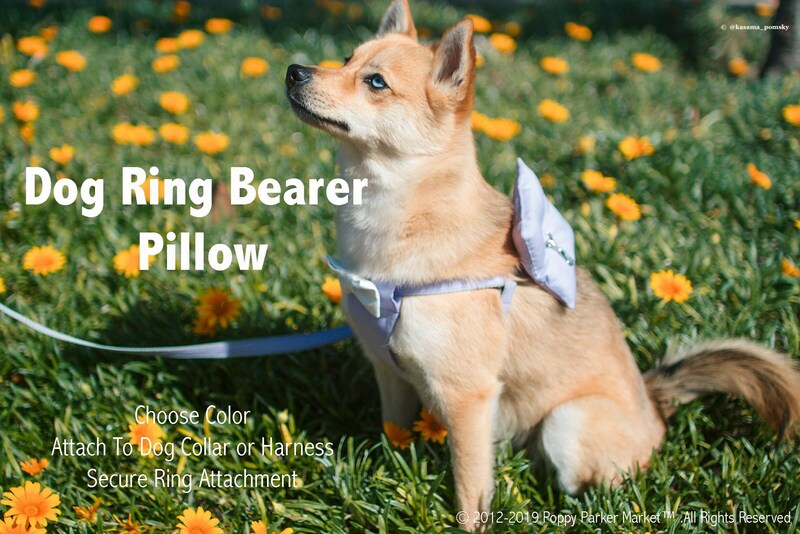 This listing includes a removable dog ring bearer pillow. 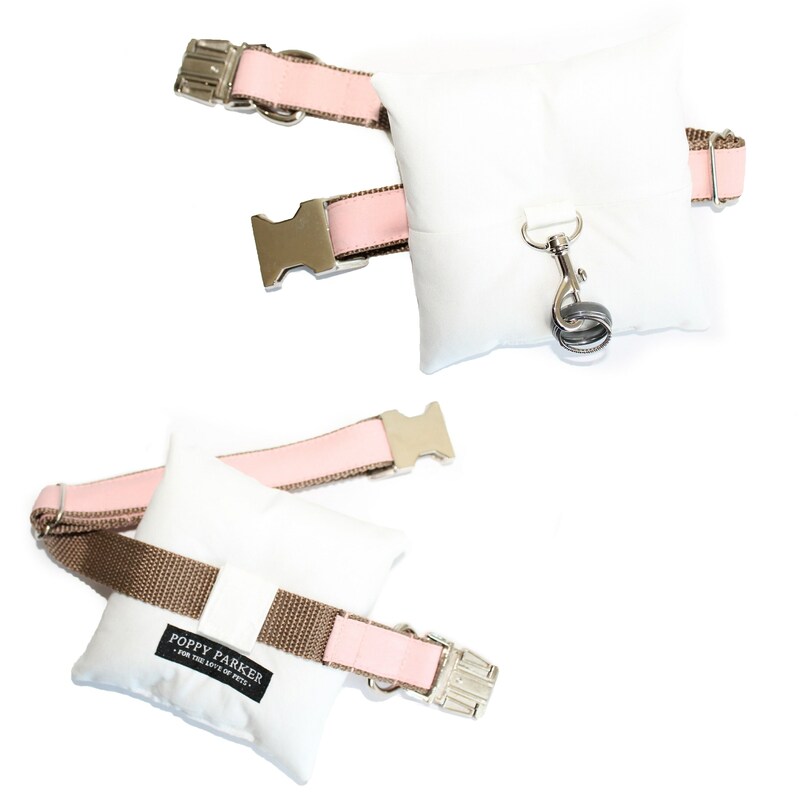 The pillow attaches securely to the collar, leash, or harness via Velcro. The rings securely attach to the pillow with a spring clasp (no need to worry about a dog on the loose with your precious rings!!). 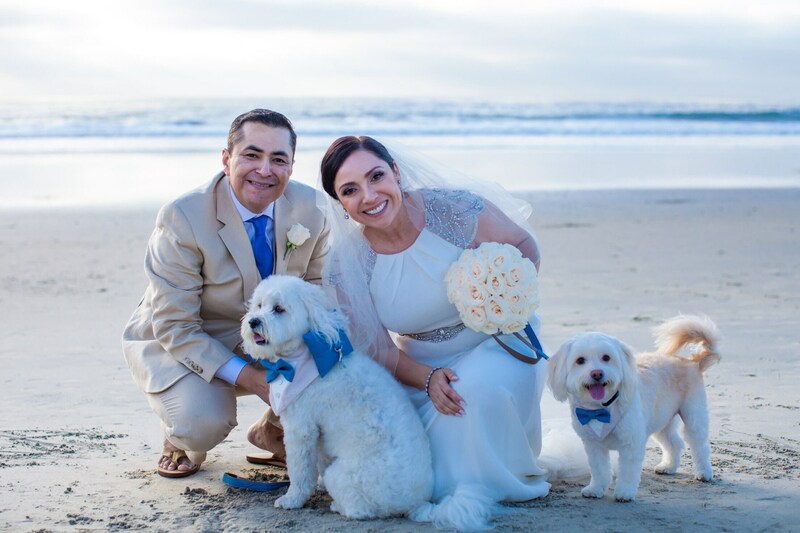 Our unique design is perfect for sending your dog ring bearer down the aisle. 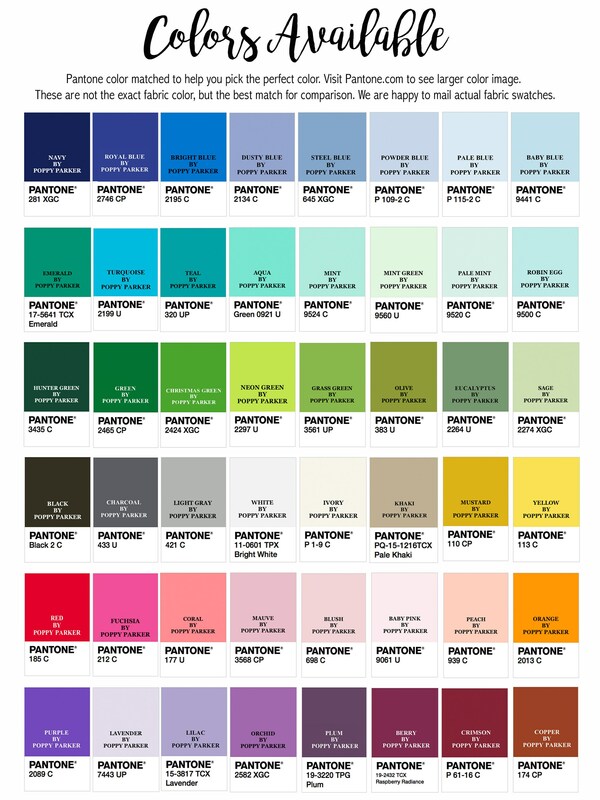 Additionally, we have over 60+ colors available to perfectly match your wedding colors. One Size: 5 x 5 in. --STEP 1: COLOR/PATTERN: Choose from the colors in drop down or leave a note at checkout. Please contact us directly if looking for a color not listed. --STEP 2: SPECIAL REQUESTS: Please leave a note at checkout if you have a delivery due date quickly approaching. --Send us an Etsy convo or email us at poppyparkermarket [!at] gmail.com we would love to hear from you! Very responsive when I had questions before I purchased. Can’t wait to use at my wedding. So cute on my dog! Much better than the ribbon pillows. This is great quality!